Your opinion matters. Leave A Review Or Edit This Listing for Mohawk Valley Community Action Agency. We are a human services organization. Helping People. Changing Lives. Ending Poverty. We have an annual food drive during the holiday season BUT will accept any food donations year round and personally deliver to local food pantries OR our own families in need. We assist families with emergencies, such as loosing their homes due to fires/disasters, etc. and for those who may be in serious need of food in any emergency situation but may not receive food stamps/benefits, etc. We always need more information on our pantries. 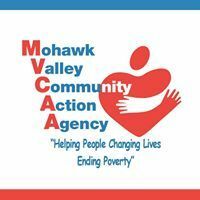 If you know of any details, volunteer information, website, hours or more description information about Mohawk Valley Community Action Agency please add a comment (below the map on this page), with information. We will then display this for all visitors on this page.